When Joseph Altuzarra sent his models down his F/W 14 runway in lavish rug-like crop tops, pencil skirts, and midi-dresses featuring frayed hems, we knew it was a trend that would stick. Sure enough, we’ve spotted fashion insiders like Tamu McPherson of All The Pretty Birds, fashion consultant Yasmin Sewell, and more sporting stylishly frayed hems. ​Scroll down for our roundup of the best frayed hem looks so far this season, and if you fancy the look, shop it! This white frayed hem looks crisp and clean alongside a structured bag and statement heels. Because everyone needs a high-waisted, tartan, frayed-hem skirt. Really. Fashion consultant Yasmin Sewell’s adventurous frayed denim-on-denim ensemble on is utter perfection! We must get our hands on this wide-sleeved shirt, we must! Tamu McPherson of All The Pretty Birds shows us a printed shirt looks extra chic tucked into a skirt with a frayed hem. Chartreuse frayed hems—we never knew we needed these until now. Say hello to your next BBQ outfit! If you don’t fall in love with these ridiculously cool sandals immediately, then we just don’t know what to do! Keep scrolling for our shopping roundup of the best frayed hems around! ​Pair these shorts with a slouchy white t-shirt and slip-on sandals for the weekend. ​You’ll be the coolest camper at the bonfire in this frayed-hem poncho. ​Give your neckline extra attention with a frayed denim hem. 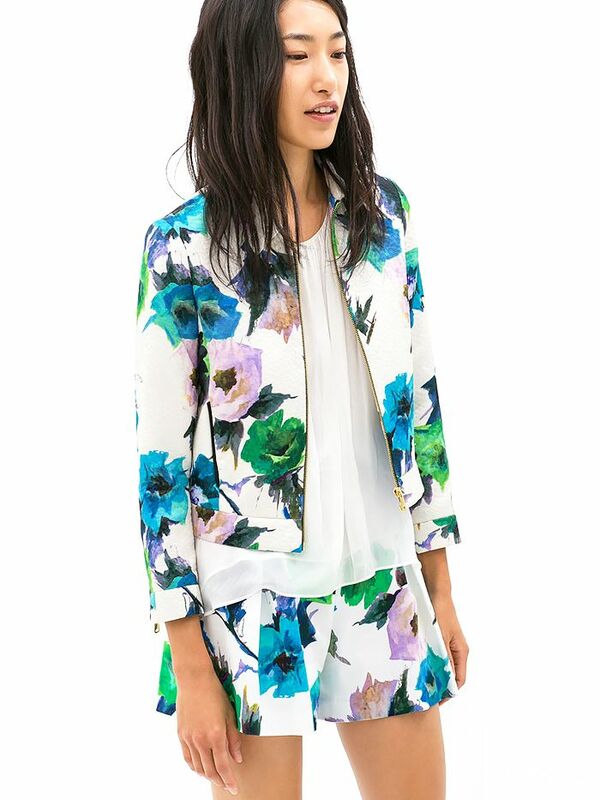 ​The subtle fray on this ladylike jacket will make it a closet go-to. ​This sleek top has Olsen written all over it. ​Style this skirt with a button-down shirt and swing a leather jacket over your shoulders. ​Wear this top with distressed jeans and stilettos for a fashion editor-inspired look. ​Wear this dress on your next date, trust us. ​Try red lipstick with this clean white dress. ​This frock is great for any upcoming bridal or baby showers. ​Bold stripes are an It-girl’s best friend.